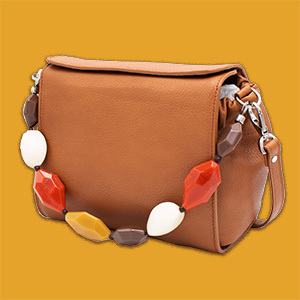 Raffia flower, colored pearls and warm summer colors that recall the warm countries: from Africa to the Caribbean. 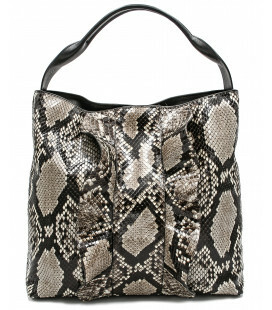 This comfortable and capacious bag in elk print calfskin is constructed with jewel handles that vary depending on the color of the skin, to be alternated with the shoulder straps that become a convenient support for carrying the shoulder bag. 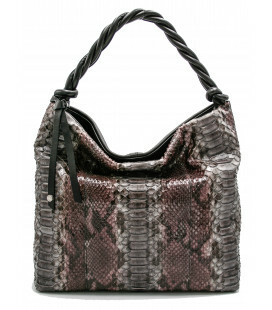 A comfortable but above all stylish bag with the front side in genuine hand-shaded python gray / plum, adapts to informal clothing. A luxury to be granted every day to go to work but also to travel. So much space for your world but also the elegance that distinguishes you. 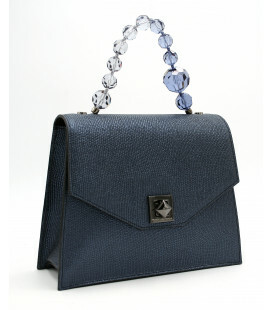 Shoulder bag, soft, capacious and supple. 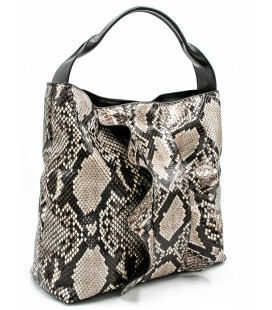 The front is in python, while the back is in beige calf leather. 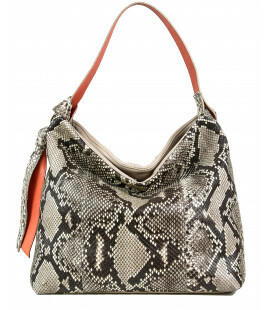 The bright coral color is fun for the inside of the handles in soft calfskin and for the bow that breaks the elegance of the python and makes it less serious. 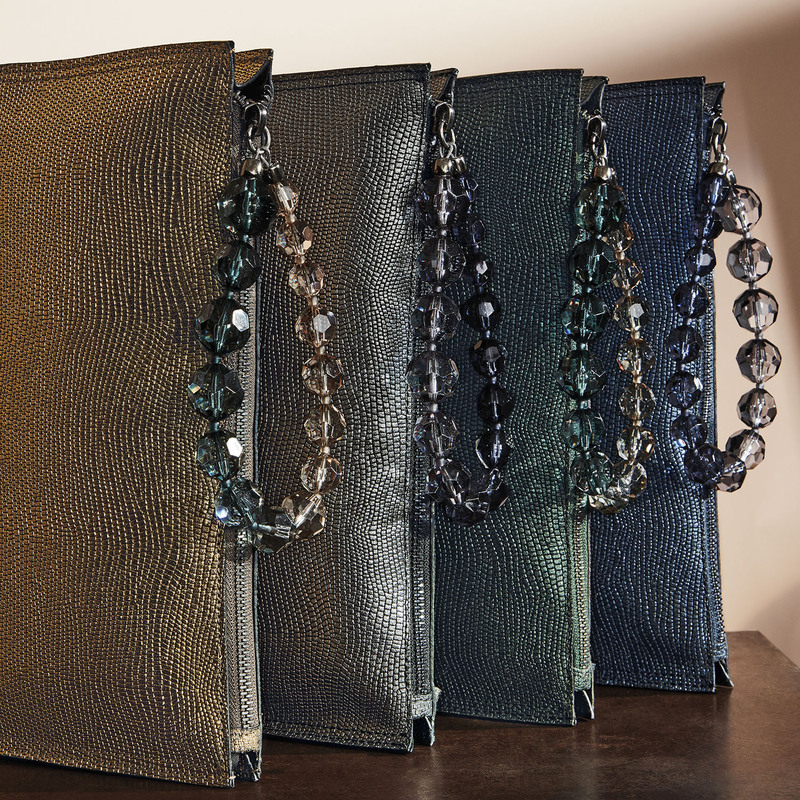 A unique accessory that will accompany you with style every day. A soft but comfortable handle, lots of capacity. 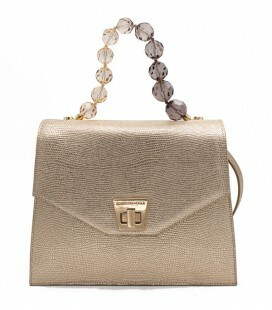 This shoulder bag accompanies an elegant woman but also very pragmatic, who likes to be at ease always. 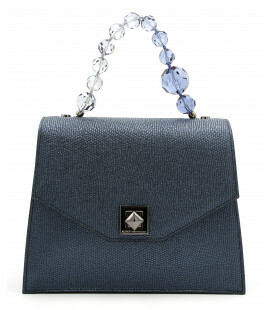 Her world is enclosed in a bag, with lots of compartments to keep everything in place. 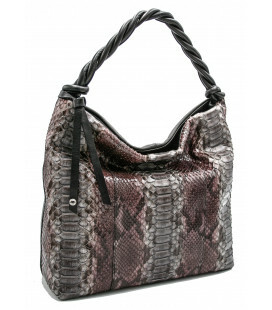 But the charm of the python is what makes this accessory an item to wear lightly. What we women have every day. 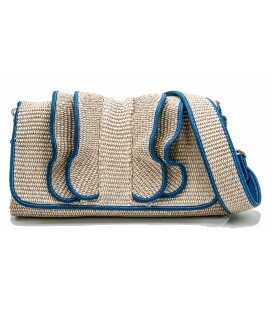 A simple clutch / baguette that recalls summer and the desire to walk in nature or by the sea. The ornamented flounces are profiled in colored leather and give a lively movement recalling the sun of the warm countries.